Meritorious Award: The purpose of the Meritorious Service Award is to give public recognition to non-alumni and/or alumni of the college who have been singularly significant in the college’s quest for excellence. Distinguished Alumni Award: The Distinguished Alumni Award gives public recognition to those who have brought distinction to themselves, and the college at large through their participation, commitment, and leadership. 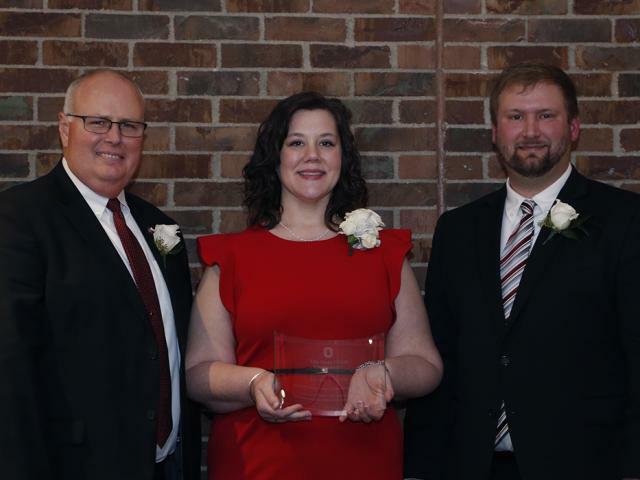 International Alumni Award: The International Alumni Award is presented to outstanding international agriculture alumni representing, supporting, and promoting the college and The Ohio State University around the globe. Young Professional Achievement Award: The Young Professional Achievement Award recognizes alumni for their early professional accomplishments. This award provides recognition for these individuals and serves as a stimulus toward further efforts by younger alumni. Honorees are to be no more than 35 years of age at the time of the award ceremony. Completed nominations should be sent to CFAESAlumni@osu.edu. To nominate an individual, find the formal application and other resources here.